Liverpool, Chelsea and Paris Saint-Germain are all interested in Porto left-back Alex Telles, according to a report. Le Parisien are the latest outlet to report that Porto’s flying left-back has come to the attention of numerous European big guns. The left footed Telles was linked with Liverpool and Chelsea last week via Portuguese newspaper Correio da Manha, but now the French outlet have added fuel to the fire. The Portuguese source claimed eds and Chelsea were looking to take advantage of a £35million release clause in the 25-year-old’s Brazilian’s contract. 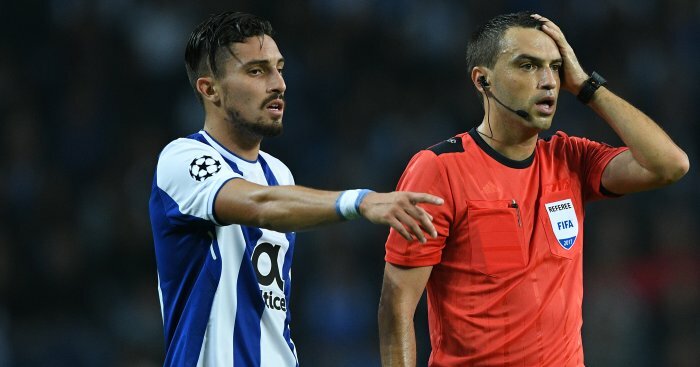 Telles, who played in against the Reds in the 5-0 defeat in the Champions League last season, is under contract until 2021. And while the latest report has failed to move the story on, the fact that they have also reported the news suggests there may well be something in the link. Telles, who has also played for Galatasaray and Inter Milan, might well be a player Jurgen Klopp is looking at to put pressure on Andrew Robertson. Robertson was impressive last term after getting into the first team in December and going on to make 22 Premier League starts. Alberto Moreno is Klopp’s other first-team left-back, but his contract expires next summer and he is unlikely to be handed a new deal after four years at Anfield.